Reiki and the laying on of hands is an ancient energy healing art that has been used for thousands of years to promote healing, reduce stress and to create a greater sense of well being in body, mind and spirit. Reiki is an intentional channeling of this life force energy to the person or animal and can yield powerful results. Reiki, pronounced ”Ray-key”, comes from the Japanese words ”rei” meaning spirit, and ”ki” meaning energy. It is usually translated as “universal life force energy” and is a holistic energy healing system that is gentle, safe and noninvasive supporting the healing process in all living things. A reiki treatment can be performed either in person or long distance with both being just as effective. As with animal communication it can sometimes be more effective long distance where there is less distractions. Reiki is a very gentle healing technique that channels universal life force energy that will go where it is needed most for healing at that time for the recipient. The body has it’s own intuitive awareness and the reiki energy will be used where the body needs it most, which is usually the source cause of the dis-ease. The body is amazing in its ability to heal but it can develop blockages or become out of balance through stress, disease and issues that can affect our body mind and spirit. We are all holistic in nature and what affects one part of the body has the potential to effect the whole body pulling it out of balance and creating a disharmony. We all know that healing takes place on all levels, physical , emotional, mental and spiritual and the powerful but gentle reiki energy can address these areas in a safe and non-invasive way. Have you noticed how pain in yourself or your animal friend can affect appetitie, sleeping and energy levels? If your original injury heals usually the other symptoms dissappear as well. Reiki is really not complicated or mystical and can usually be found in animal shelters, hospitals, hospices, spas, clinics and places where people are interested in healing. Reiki can also be easily learned and I will be offering classes in the future for those who wish to learn this effective healing system. There is a theory that years ago when we were created or evolved that we also had the ability to heal ourselves when we had imbalances or dis-ease. When you hurt yourself what is the first thing that you do? Without exception everyone reaches out with their hand to touch the painful area. Even when it is so painful we cannot touch it, we still reach out to hold our hand close. This an intuitive response to pain that we cannot control and is automatic. Animals already know about reiki and they will try to touch either us or themselves with their heads or noses and sometimes try to lick the area starting the healing process. Animals are great healers and react instinctively to pain and imbalances with themselves and the people they love. Reiki is just activating this same healing system and channelling the energy for the recipient. In a treatment reiki will quickly start to flow freely as long as the recipient chooses to accept it at that time. Although reiki is gentle and safe the option to receive it is always honored according to the reiki code of ethics that I have chosen to adopt. During a reiki treatment the recipient, either animal or human can expect to feel profoundly relaxed and may experience emotional releases as well as a gentle shifting or movement in their body or nothing at all. The reiki energy is still working even if you do not feel anything at the time. It is not unusual for the recipient to feel joy, sorrow, profound love and acceptance and enjoy a calm and peace that quite often has never been felt before. Once people and animals have experienced reiki they all look forward to the treatments and the response that it can bring. I have enjoyed many a wonderful reiki treatment where I have been intensely relaxed, experienced pain in areas that need healing, felt unconditional love and enjoyed the messages that have been released to me. I am always amazed at how a treatment will progress and the results that are obtained. Each individual treatment is different and the experience can vary from one time to the next. 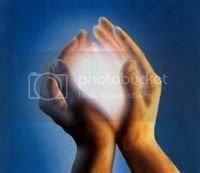 Reiki energy is channelled from the practitioner to the recipient with the gentle placement of their hands on or above certain specific areas of their body. In a long distance treatment I like to work with a picture or description of the person or animal and can tune in and channel the reiki to them and later pass on any intuitive messages that may of come up for them in a treatment. I can remember going on a trip up island for the day and receiving a phone call from my daughter in tears with a tooth ache. We were already about 2 hours from home but turned back to head down the island to her. I started sending her long distance reiki and within the hour she had called saying that her pain was gone and she was fine now. 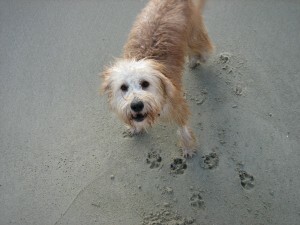 The reiki had indeed worked and she was pain free and we continued on up the island for the day. As a special service I would like to offer long distance reiki to everyone, animals and people, at a special price of $35.00 for a 30 minute treatment. Package of 4 treatments for $140.00 . Think about gifting these to yourself or someone special. I will contact you prior to the treatment for information regarding the recipient. Reiki treatments are available at a discount if you purchase 4 or more. Please contact me direct for prices. Buy a package of 4 and receive immediate benefits after the first treatment or the balance of your money refunded.